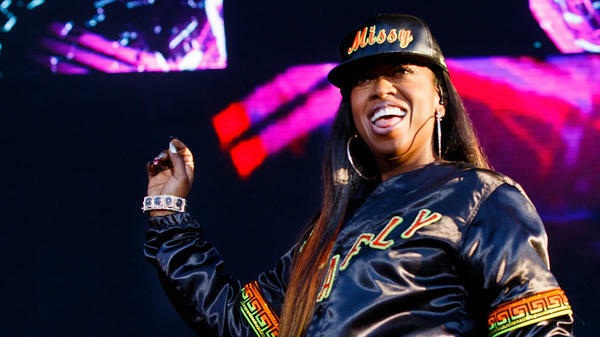 Next year, Missy Elliott may become the first female rapper to be admitted into the Songwriters Hall of Fame. She'd become only the third rapper to join the Hall's ranks — which number around 400 — following the induction of Jay-Z in 2017 and Jermaine Dupri last year. The Hall announced this year's nominees yesterday through the Associated Press. This year's non-performing nominees are Lynn Ahrens and Stephen Flaherty; Dallas Austin; Tommy Boyce and Bobby Hart; L. Russell Brown and Irwin Levine; Dean Dillon; Jerry Fuller; Tom T. Hall; Roger Nichols; Dan Penn and Spooner Oldham; Dean Pitchford and Michael Gore; P.F. Sloan and Steve Barri; and Jack Tempchin. Of the 24 nominees, just six will be inducted, determined by a vote among the Songwriting Hall of Fame's voting members. To be nominated, the artists' careers must be at least 20 years old, "with a notable catalog of hit songs." Below, find a playlist with one song from each of this year's nominees — it's quite a list of music.